This volume explores concepts of mentoring, leadership and issues faced by early childhood teachers. Foregrounded against inadequate leadership and mentoring training in this sector, this book looks at how mentoring is exercised through Facebook. Mentoring through Facebook provokes a strong sense of freedom in terms of speech and influence. The benefits for using social media in mentoring includes minimizing costs and reaching mass numbers of mentees globally where knowledge can be shared and information gained. Whilst there is also a positive and active approach to mentoring, there is the danger of mentoring that misinforms, disempowers and alienates. This book will help active players in the early childhood sector in understanding the crucial nature of mentoring and its impact when used through Facebook and similar social media sites. Chapter 3: What is actually happening on Facebook? 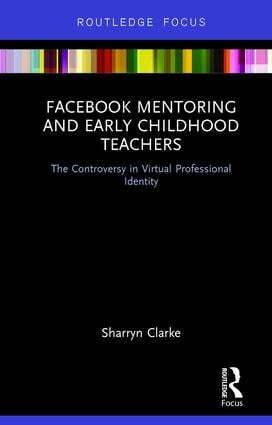 Sharryn Clarke is a lecturer at Monash University in the education faculty and has a background in early childhood education. She has previously worked in a variety of settings including teaching and operating education and care services, an education advisor in early intervention and as an assistant manager at the Victorian Department of Education and Training. She currently teaches a variety of units relating to policy development, partnerships, leadership and professional studies as well as child development and learning. Sharryn's research areas include mentoring and social media, family engagement and environmental studies.